Having a large door on your warehouse is only useful if it opens in the morning and closes at the end of business hours to keep your facility secure. 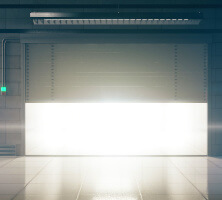 Just like garage doors on a home, automatic warehouse doors can experience problems that prevent them from opening or closing, making it difficult to get work done. Here is a list of some common warehouse door problems and how to fix them quickly and easily. If you arrive at your warehouse in the morning and the door won’t open, it could indicate a number of problems. First, if you use an automatic door opener, ensure that the building has power. If it does, check and replace the battery in your door opener remote, and ensure that the detector or photo eyes are not obstructed. Also, make sure the door is not locked in the closed position — even with an automatic door opener, the door will not open if it’s locked. Once you’ve ruled out these basic troubleshooting steps, if the door still won’t open, it could indicate a problem with the hardware. The door won’t open if it has been dislodged from its track or the torsion spring has broken. Resetting the door on its track might be as simple as pushing it back into place. Depending on the design of your warehouse door, it may instead require assistance from a repair professional. If the torsion spring has broken, the door opener doesn’t have enough power to lift the door into the open position, and the spring will need to be replaced, notes the Industrial Spring Company. Order a new torsion spring according to your door manufacturer’s specifications or by measuring the length, gauge and whether it winds to the right or the left. If you have a spare torsion spring on hand, the repair is as simple as just removing the broken spring and replacing it with the new one, according to DDM Garage Doors. Once the spring has been replaced, the door should open as usual. Another common problem is the door becoming stuck in the open position. In addition to requiring repair, this situation creates a security issue, as you’ll be unable to secure your facility at the end of the workday. Troubleshooting this problem is similar to fixing the door when it won’t open. Many of the problems that prevent the door from opening, like a lack of power, problems with the door remote, broken springs, or worn cables, can also prevent the door from closing. Water leakage can be a problem if your warehouse is located in an area that gets a lot of rain. Water leaking under the door could potentially damage equipment or inventory if it’s allowed to continue unchecked. Fortunately, the issue is a simple one to fix. Water leaking under your warehouse doors usually indicates that the weather seal at the bottom of the door needs to be replaced — a simple fix that can be done in an afternoon. If the weather seal is in good shape, it could mean that your warehouse door isn’t meeting the ground when it’s closed. Inspect the door when it’s closed to ensure that it’s sitting flat against the ground. If it isn’t closing completely, it could indicate that the door is off its track or that the hardware needs to be adjusted because it’s tighter on one side than it is on the other. If you use an automatic door opener for your warehouse door, you may find that it will close and immediately open again instead of staying closed. This issue has a simple fix that is tied into the door’s limit switch. Every automatic door, whether it’s installed in a garage or a warehouse, is equipped with a limit switch that makes the door open if it detects an obstacle in its way when it’s closing. This safety feature is in place to prevent the door from closing on a person or causing damage by closing on a piece of equipment. If your door is closing and then re-opening immediately, it simply means that the limit switch is improperly calibrated — it’s too sensitive and thinks it’s hitting an obstacle when all it’s doing is closing. Recalibrate the switch, and the problem should be solved. Many of these problems can be prevented by keeping up with a comprehensive maintenance schedule when it comes to your warehouse doors. Schedule time to inspect the doors and their hardware at least once a week, even if the door isn’t causing a problem. Preventative maintenance and inspections can prevent small problems from becoming big ones by allowing you to catch issues early. Maintaining your warehouse door is more than just a maintenance process — it can also protect against security issues that can arise if your door isn’t closing and locking properly. A compromised door can provide an entry point for thieves or vandals, costing you a lot of money in damaged property and lost inventory. 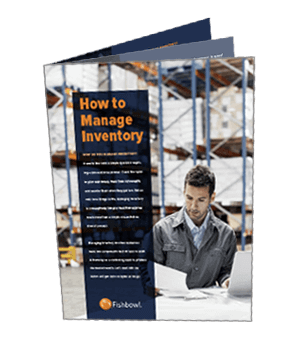 Large warehouse doors are convenient when it comes to bringing in and shipping out inventory, but remember: If they aren’t maintained, they can cause more problems than they solve.